Protek Stainless Steel Wall Panels offer maximum wall protection with a clean modern design. Stainless steel reduces bacterial growth and allows for the use of harsh cleaners. Protek Stainless Steel Wall Panels require no trim accessories, which makes installation easier and faster. Protek Stainless Steel Wall Panels are available in several gauges, types, patterns, and colors to accommodate any interior or exterior design. Protek Stainless Steel Wall Guards combine maximum impact protection with a clean and modern design. Stainless steel reduces bacterial growth and allows for the use of harsh cleaners. These characteristics make Protek Stainless Steel Wall Guards ideal for hygienic areas with heavy traffic and abuse. Use Protek Stainless Steel Wall Guards in hospital corridors, patient rooms, laboratories, food processing areas, kitchens and other applications that demand indestructible wall protection. Stainless steel rub rails and chair rails protect walls from chairs, luggage, backpacks, and pedestrian traffic, while maintaining a clean and modern appearance. 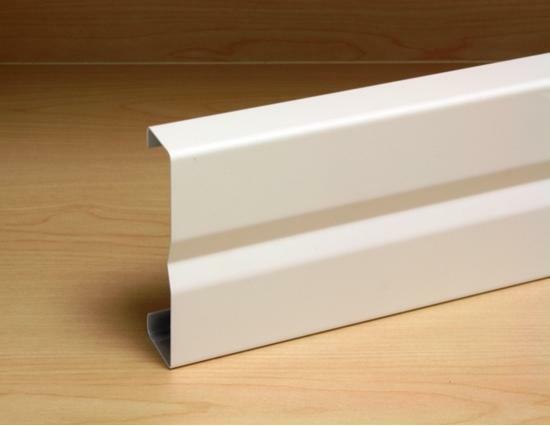 Rub rails are commonly used in classrooms and conference rooms to protect from chairs, but also work well in hallways and other areas that withstand impact at specific heights. Stainless steel rub rails and chair rails are available in a variety of sizes and thicknesses to accommodate all applications. Protek Stainless Steel Corner Guards come in a variety of radii, corner angles, and wing sizes. Protek Stainless Steel Corner Guards are easy to install with Protek standard adhesive or with fasteners through pre-drilled holes. Available in type 304 and type 316 stainless steel, Protek Stainless Steel Corner Guards are excellent for lab or food service environments, and combine well with Protek Stainless Steel Crash Rail and Handrails. Protek Stainless Steel Door & Frame Protection products shield the door's face, edges, and frames from unsightly marring and excessive wear. Protek Door Edge Guards permanantly shield door edges, and Protek Stainless Steel Kick Plates and Push Plates protect a door's most vulnerable areas from excessive wear and tear. All Protek Stainless Steel Door & Frame Protection Products provide heavy protection that keep doors looking newer longer. Due to the growing concern for infection control in hospitals and clinics, Protek has developed a full line of antimicrobial wall systems that resist the growth of germs and bacteria. Choose from a variety of materials, colors, and installation methods. Our antimicrobial wall protection systems feature easy-to-clean surfaces with seamless transition. We offer wall systems fabricated from strong aluminum or stainless steel, then painted with a durable antimicrobial powder coat for maximum protection and cleanliness. All of the hygienic wall systems are designed to protect walls from impact, and are most commonly used in hospitals, laboratories, clinics, kitchens, schools, and other facilities that maintain a clean environment. Antimicrobial wall guards are fabricated from aluminum or stainless steel and painted with an antimicrobial powder coat. Built to withstand strong impact, the antimicrobial wall guards will protect walls from impact while maintaining a clean environment, free of germs and bacteria. Each profile is available in a full range of colors and sizes. Protek antimicrobial wall guards are a great choice to protect walls and help combat the growing concern of hospital-acquired infections. Antimicrobial corner guards are fabricated from aluminum or stainless steel and painted with an antimicrobial powder coat. Built to withstand strong impact, the antimicrobial corner guards will protect corners from impact while maintaining a clean environment. Each profile is available in a full range of colors and sizes. Protek antimicrobial corner guards are a great choice to protect walls and help combat the growing concern of hospital-acquired infections. Doors, Doorways, and other openings may see hundreds of people come and go throughout the course of a day. Whether it be from dirty hands or shoes, these areas of your facility tend to get dirty. Antimicrobial kick plates, push plates, and frame guards are ideal products for this problem. Our antimicrobial door and frame products are easy to keep clean, and will resist impact and the growth of bacteria. The antimicrobial door and frame product line is available in a full range of colors and sizes to accommodate all facilities that maintain a clean environment. Protek Aluminum Wall Panels offer maximum wall protection and are a great alternative to stainless steel. Aluminum reduces bacterial growth and allows for the use of harsh cleaners. Protek Aluminum Wall Panels require no trim accessories, which makes installation easier and faster. 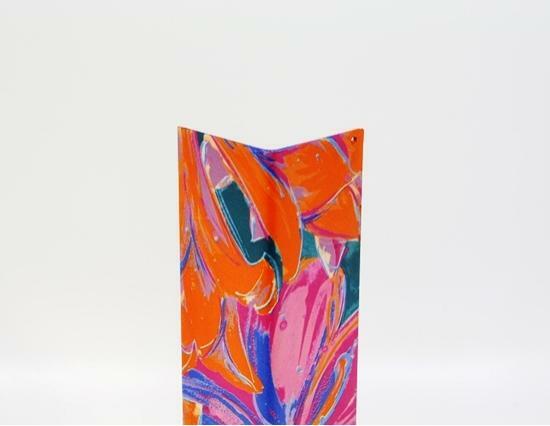 Protek Aluminum Wall Panels are available in several thicknesses, finishes, patterns, and colors to accommodate any interior or exterior design. Protek Aluminum Wall Guards provide an indestructible wall protection that is easily maintained. Protek Aluminum Wall Guards resist bacterial growth and stand up to even the harshest chemical cleaning agents. Protek Aluminum Wall guards can be made in a mill finish, anodized finish, or powder coated to a color of your choice. Protek Aluminum Wall Guards work well in corridors, laboratories, operating rooms, and other hygienic applications. Our mill finish aluminum corner guards are easy to install, provide a heavy protection level, and come in wing sizes from 1” to 3”. Standard installation is with adhesive, or they can be pre-drilled for mounting with mechanical fasteners. Customize the look you need with lengths up to 10’. Also available in custom angles and wing sizes. Protek Aluminum Door & Frame Protection products shield the door's face, edges, and frames from unsightly marring and excessive wear. Protek Door Edge Guards permanantly shield door edges, and Protek Aluminum Kick Plates and Push Plates protect a door's most vulnerable areas from excessive wear and tear. All Protek Aluminum Door & Frame Protection Products provide heavy protection that keep doors looking newer longer. Protek Wood Grain Wall Panels protect walls from pedestrian traffic and moving objects. 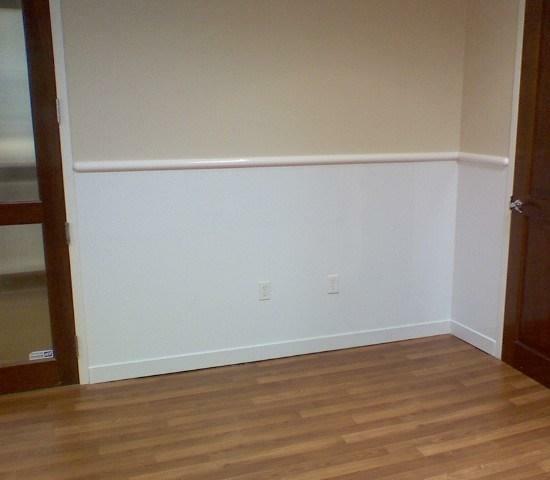 Protek Wood Grain Wall Panels resist impact and are an excellent defense to everyday wear and tear. With over 100 wood grains to choose from, Protek Wood Grain Wall Panels are the toughest and most beautiful wall protection panels around. Protek Wood Grain Wall Panels are available in aluminum or stainless steel. Protek Wood Grain Wall Guards protect walls from pedestrian traffic and moving objects. Protek Wood Grain Wall Guards resist impact and are an excellent defense to everyday wear and tear. 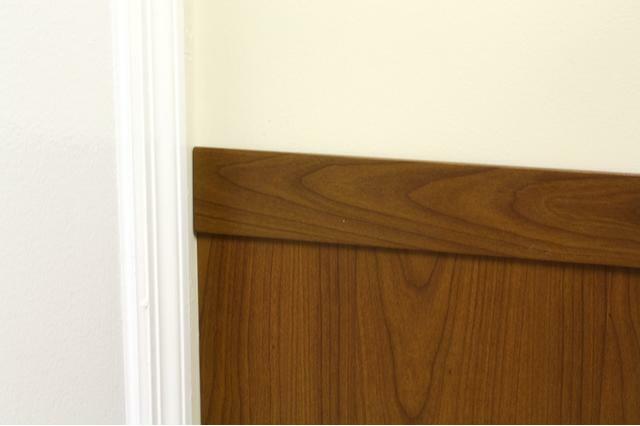 Protek Wood Grain Wall Guards also match our wood grain wall panels, corner guards, and door protection. Protek Wood Grain Wall Guards are available in aluminum or stainless steel. Protek Wood Grain Corner Guards protect outside corners from pedestrian traffic and moving objects. Protek Wood Grain Corner Guards resist impact and are an excellent defense to everyday wear and tear. Protek Wood Grain Corner Guards also match our wood grain wall panels, wall guards, and door protection. Protek Wood Grain Corner Guards are available in aluminum or stainless steel. Protek Wood Grain Door & Frame Protection products shield the door's face, edges, and frames from unsightly marring and excessive wear. Protek Door Edge Guards permanantly shield door edges, and Protek Wood Grain Kick Plates and Push Plates protect a door's most vulnerable areas from excessive wear and tear. All Protek Wood Grain Door & Frame Protection products provide heavy protection in beautiful wood grains that keep doors looking newer longer. Protek Marble Wall Panels protect walls from pedestrian traffic and moving objects. Ideal for lobbies and hallways, Protek Marble Wall Panels allow you to keep walls safe from damage while maintaining a decorative interior design. Protek Marble Wall Panels resist impact and scratching and can be installed full height or as a wainscot. Protek Marble Wall Panels are available in stainless steel or aluminum. Protek Marble Wall Guards protect walls from pedestrian traffic and moving objects. Protek Marble Wall Guards resist impact and are an excellent defense to everyday wear and tear. 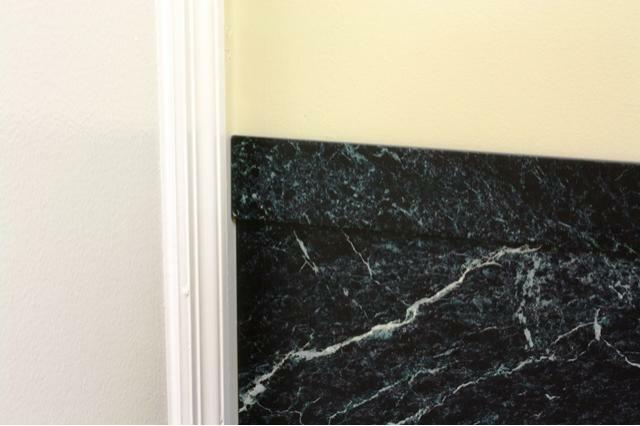 Protek Marble Wall Guards also match our marble wall panels, corner guards, and door protection. Protek Marble Wall Guards are available in aluminum or stainless steel. 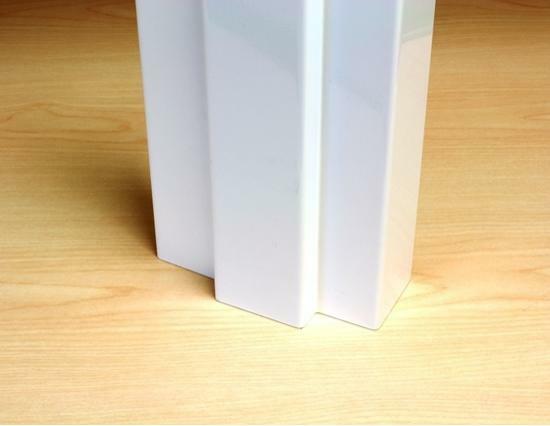 Protek Marble Corner Guards protect outside corners from pedestrian traffic and moving objects. 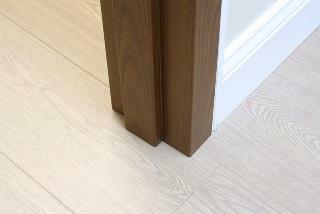 Protek Marble Corner Guards resist impact and are an excellent defense to everyday wear and tear. 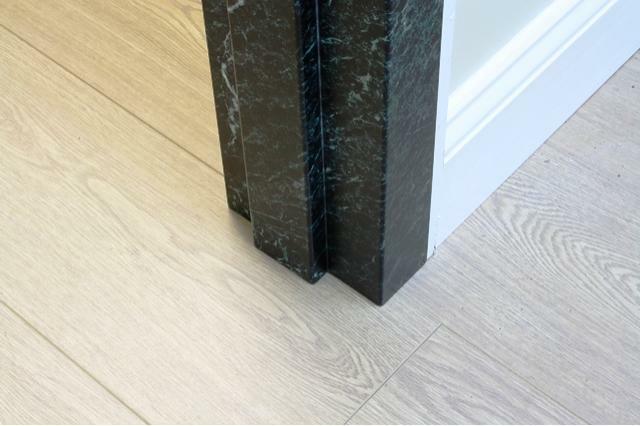 Protek Marble Corner Guards also match our marble wall panels, wall guards, and door protection. 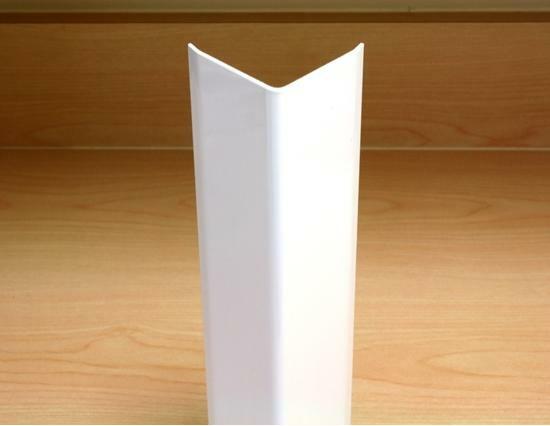 Protek Marble Corner Guards are available in aluminum or stainless steel. Protek Marble Door & Frame Protection products shield the door's face, edges, and frames from unsightly marring and excessive wear. Protek Door Edge Guards permanantly shield door edges, and Protek Marble Kick Plates and Push Plates protect a door's most vulnerable areas from excessive wear and tear. All Protek Marble Door & Frame Protection products provide heavy protection in beautiful marble textures that keep doors looking newer longer. Protek Granite Wall Panels protect walls from pedestrian traffic and moving objects. Ideal for lobbies and hallways, Protek Granite Wall Panels allow you to keep walls safe from damage while maintaining a decorative interior design. 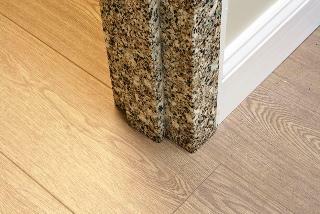 Protek Granite Wall Panels resist impact and scratching and can be installed full height or as a wainscot. Protek Granite Wall Panels are available in stainless steel or aluminum. Protek Granite Wall Guards protect walls from pedestrian traffic and moving objects. Protek Granite Wall Guards resist impact and are an excellent defense to everyday wear and tear. 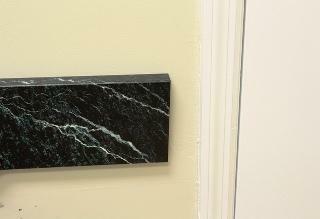 Protek Granite Wall Guards also match our marble wall panels, corner guards, and door protection. Protek Granite Wall Guards are available in aluminum or stainless steel. Protek Granite Corner Guards protect outside corners from pedestrian traffic and moving objects. Protek Granite Corner Guards resist impact and are an excellent defense to everyday wear and tear. 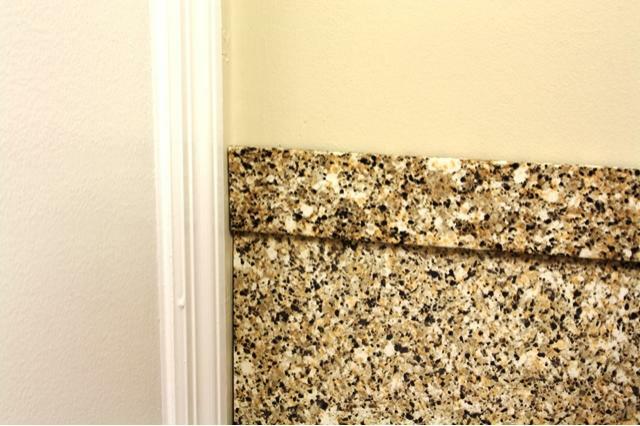 Protek Granite Corner Guards also match our granite wall panels, wall guards, and door protection. Protek Granite Corner Guards are available in aluminum or stainless steel. Protek Granite Door & Frame Protection products shield the door's face, edges, and frames from unsightly marring and excessive wear. Protek Door Edge Guards permanantly shield door edges, and Protek Granite Kick Plates and Push Plates protect a door's most vulnerable areas from excessive wear and tear. All Protek Granite Door & Frame Protection products provide heavy protection in beautiful granite textures that keep doors looking newer longer. 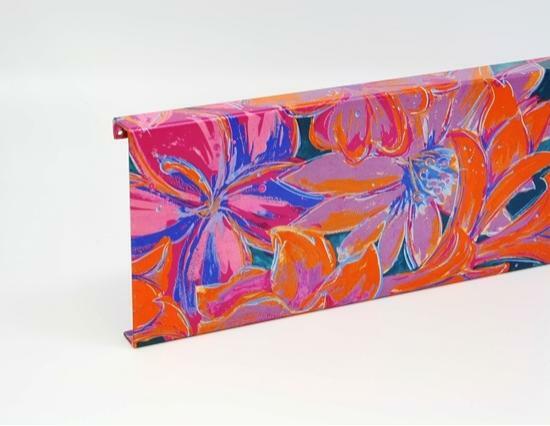 Protek can display images, photos, patterns, and logos on metal substrates. Protek Photowall wall panels protect walls from pedestrian traffic, wheeled equipment, and other objects that can cause damage, while displaying an image of your choice. Protek Photowall wall panels can be installed as a wainscot or full height from floor to ceiling. Protek Photowall wall panels are a great option for lobby areas, corridors, cafeterias, patient rooms, pediatric centers, and other high traffic areas. ProTek Photowall Corner Guards use custom images to display themes, patterns, and pictures while protecting outside corners from impact. Protek's photowall technology incorporates ongoing themes or customized designs throughout your facility. Display your logo and other images that represent your company, or display comforting images that customers or patients can relate to. The corner guards are fabricated from aluminum and finished with durable powder-coat, which is able to withstand everyday wear and tear. Incorporate other forms of wall protection like wall guards or door protection to create an ongoing theme. Protek Diamond Plate Wall Panels offer heavy duty protection in back-of-house areas, loading docks, and warehousing units. 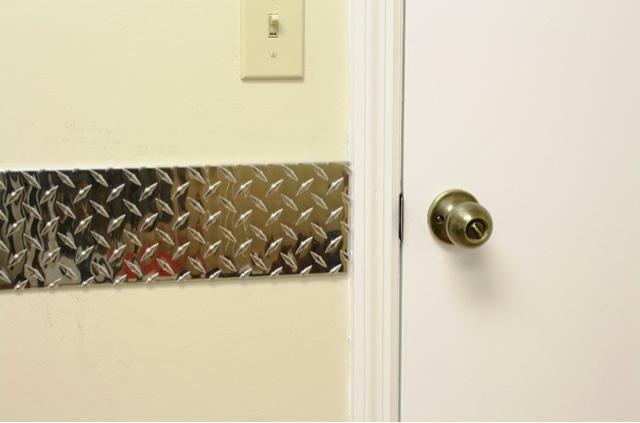 Diamond plate sheets cut easily and can be applied to walls, corners, doors, and columns. Keep walls clean and protect them from damage while saving on maintenance and repair costs by using Protek's Diamond Plate Wall Panels. 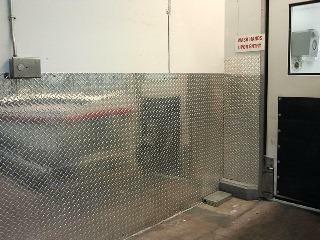 Protek diamond plate wall guards offer maximum wall protection from moving carts, equipment, and pedestrian traffic. These wall guards are made of stainless steel or aluminum diamond plate, and available in a variety of profiles and sizes. 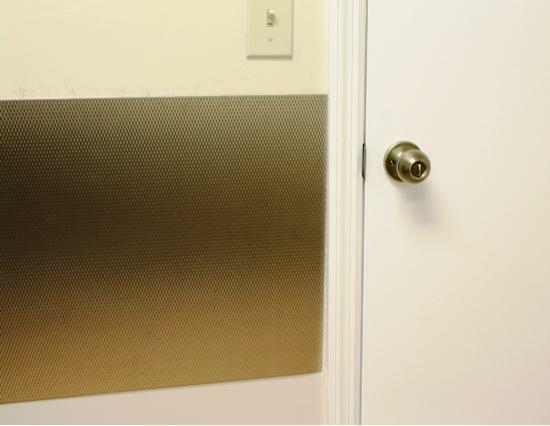 The diamond plate metal is an 1/8" thick and has a raised diamond pattern, which gives the wall guard extreme strength and the ability to hide scratches and abrasion. 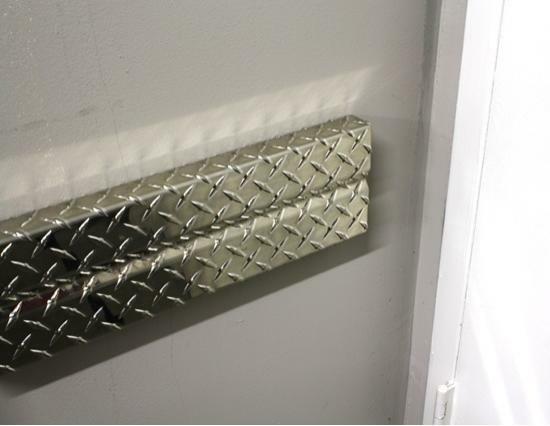 Diamond plate wall guards match well with Protek diamond plate wall covering and corner guards. Diamond plate rub rails and chair rails are available in stainless steel and aluminum. 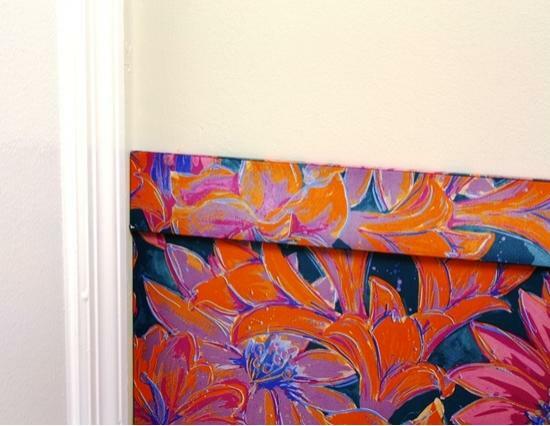 Rub rails and chair rails protect walls from constant rubbing and scratching. Diamond plate rub strips are available in several sizes to accommodate all applications. Stainless steel and aluminum diamond plate rub rail protectors also come with pre-fabricated inside and outside corners for added strength. Protek Diamond Plate Corner Guards offer heavy duty protection for outside corners in back-of-house areas, loading docks, and warehousing units. Protek Diamond Plate Corner Guards allow you to keep walls clean and free from damage while saving on maintenance and repair costs. 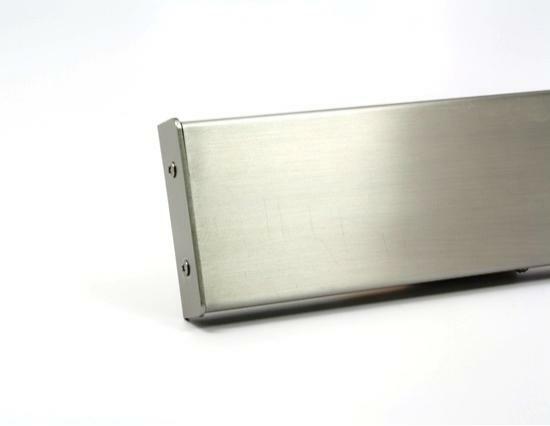 Protek Diamond Plate Corner Guards are available in stainless steel or aluminum. Protek's brass wall protection panels offer an elegant alternative to stainless and aluminum wall systems. Available in polished or brushed finishes, Protek's brass wall paneling will protect walls from pedestrian traffic and moving equipment in facilities that require upscale decor. Protek brass wall guards offer an elegant alternative to stainless and aluminum wall guard systems. Available in polished or brushed finishes, Protek's brass wall guards will protect walls from pedestrian traffic and moving equipment in facilities that require upscale decor. Protek brass corner guards offer an elegant alternative to stainless and aluminum corner guard systems. Available in polished or brushed finishes, Protek's brass corner guards will protect walls from pedestrian traffic and moving equipment in facilities that require upscale decor. Protek brass door and frame guards offer an elegant alternative to stainless and aluminum door and frame systems. Available in polished or brushed finishes, Protek's brass door and frame systems will protect door and frames from pedestrian traffic and moving equipment in facilities that require upscale decor. The Super Duty wall protection system exhibits excellence in both impact and abrasion resistance. Aluminum wall panels are sprayed with a polyurea coating that is impact, abrasion, and chemical resistant. Any color can be matched. The extreme durability and design capability of the Super Duty wall protection system makes it the ideal product for commercial and industrial applications. Super Duty wall guards help protect walls from both impact and abrasion. Aluminum wall guards are sprayed with a polyurea coating that is impact, abrasion, and chemical resistant. Any color can be matched. The extreme durability and design capability of our Super Duty wall guards makes them the ideal product for commercial and industrial applications. Super Duty corner guards help protect walls from both impact and abrasion. Aluminum corner guards are sprayed with a polyurea coating that is impact, abrasion, and chemical resistant. Any color can be matched. The extreme durability and design capability of our Super Duty corner guards makes them the ideal product for commercial and industrial applications. Super Duty door and frame guards help protect doors, door frames, and other entryways from impact and abrasion. Aluminum profiles are sprayed with a polyurea coating that is impact, abrasion, and chemical resistant. Any color can be matched. The extreme durability and design capability of our Super Duty wall guards makes them the ideal product for commercial and industrial applications. You need to be logged in to add products to a project. Please log in and try again! Or if you don't have an account with us just register, it's FREE! .